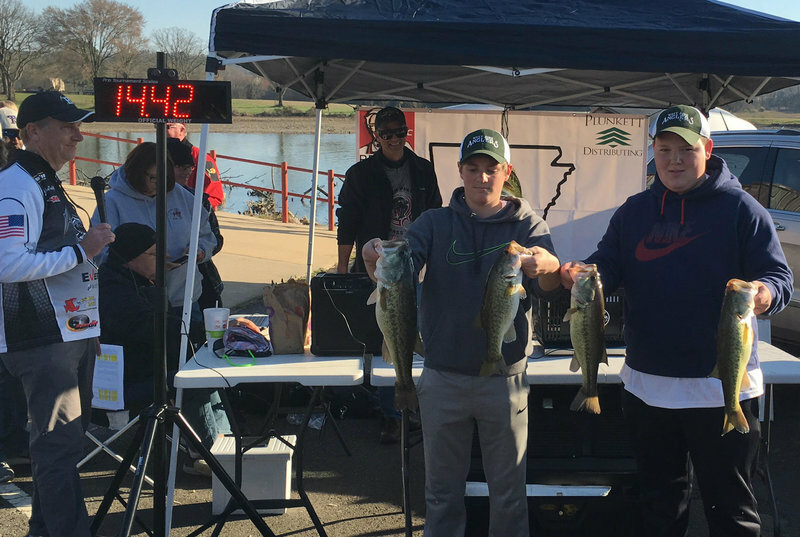 Two of the West Side Angler fishing teams placed and brought home money from today’s tournament at Lake Hamilton. 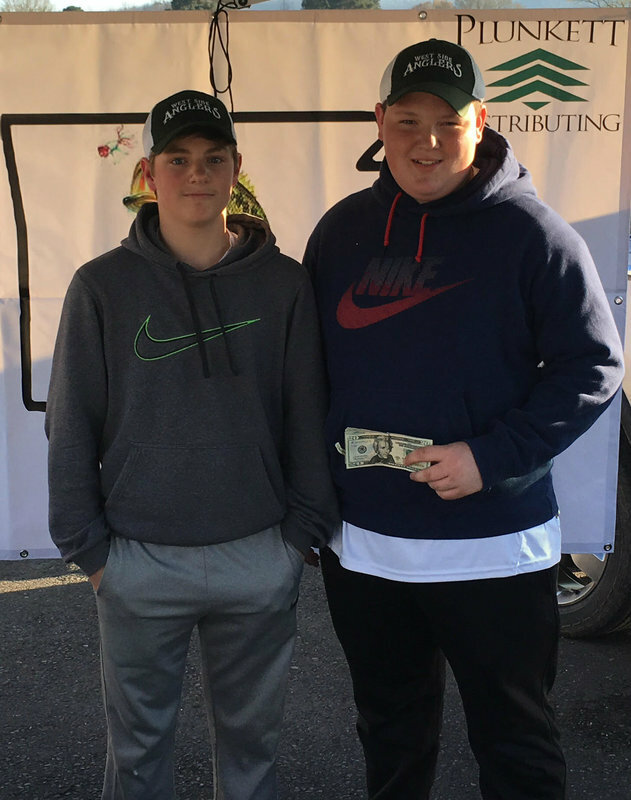 Josh Harness and Jared Cothren finished 2nd with 14.42 pounds, winning $240. 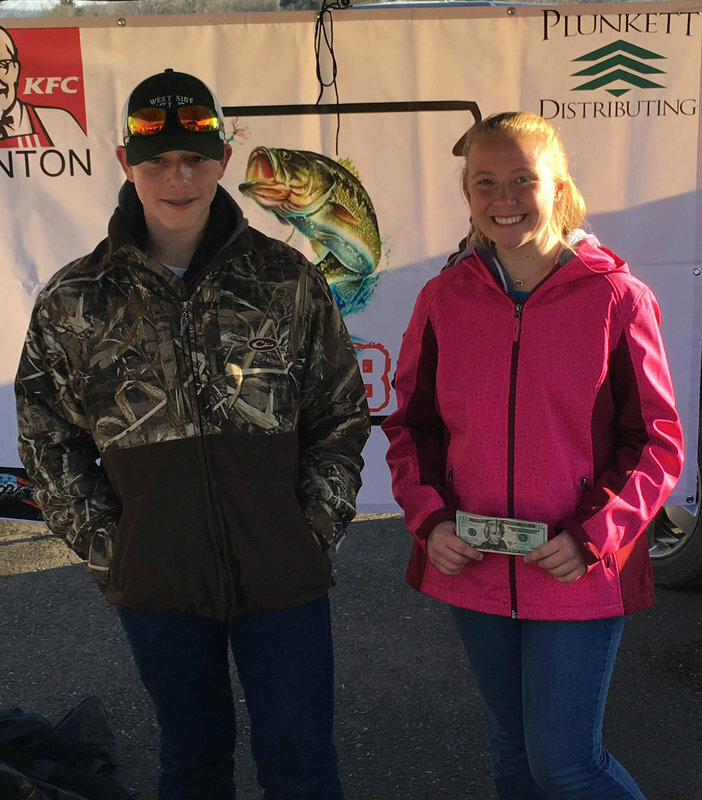 Maci Parks and Andrew Turner finished 3rd with 12.36 pounds, winning $200. Both had a bag limit of five fish. Along with photos, a video of the weigh-in is at https://goo.gl/NXZu5C. There were over 60 teams in the tournament. For more information about the West Side Anglers, visit the club’s website at https://sites.google.com/a/westsideeagles.org/west-side-fishing-club/.